iFeed is a perfect way to involve your business or organization in service while mentoring young adults learning to become servant leaders. Pre-event food drives build enthusiasm, you can run your food drive however you’d like. At iFeed, being a part of a meal packing line promotes teamwork and the goodness of service toward others. Includes thank-yous and mentions in all day-of media and on signage. Posters, food collection site signage, informational material and buttons will be available to help promote your own food drive. $250 funds the packing of 1,600 meals. 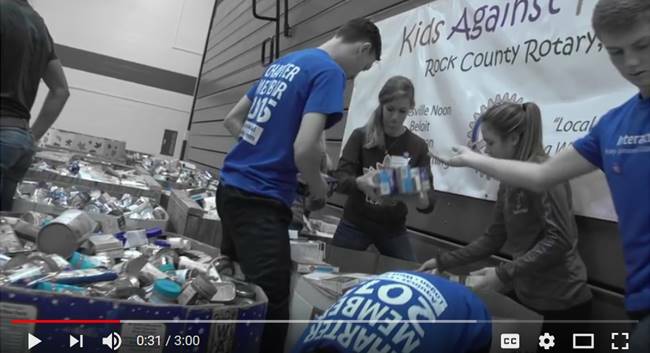 Sponosrship of one high school or non-profit packing team and allows two representatives from your organization to join in and participate in the packing fun. $500 funds the packing of 3,200 meals. Sponsorship of your own organization’s 12-person meal packing team. 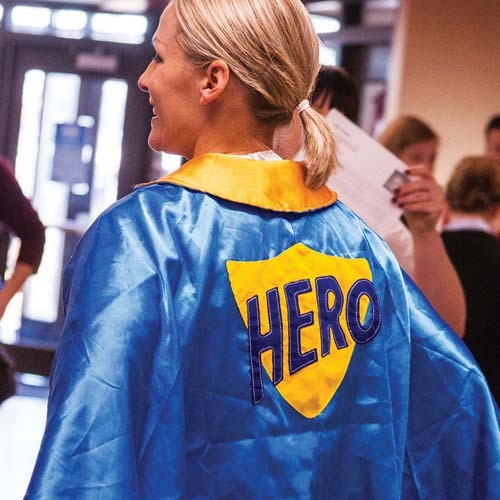 Team building, group volunteering, cheering and fun team themes. You also are the sponsor of a high school or non-profit team. $1,000 funds the packing of 6,400 meals. Your own 12-person meal packing team and all the fun that comes with it and sponsorship of a high school or non-profit team. Included in other day-of volunteer opportunities such as can sorting, curb collection, etc., as desired. $1,500 funds the packing of 9,600 meals.